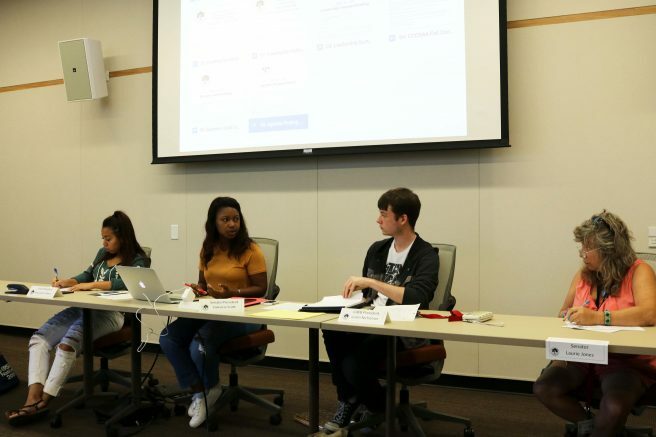 The American River College Student Senate continued deliberation over whether to contract parliamentarian Lorenzo Cuesta at their meeting on Thursday. Senator Laurie Jones motioned to have Cuesta’s name removed from Bill F16-02 on the agenda because his name had already been removed from the bill at a previous meeting. CAEB President Justin Nicholson who opposes contracting Cuesta didn’t want to have Cuesta removed from Bill F16-02 if he was the only one standing in the way of the board finding a parliamentarian. “You all know my grievances with Mr. Cuesta and my trepidations with rehiring him. 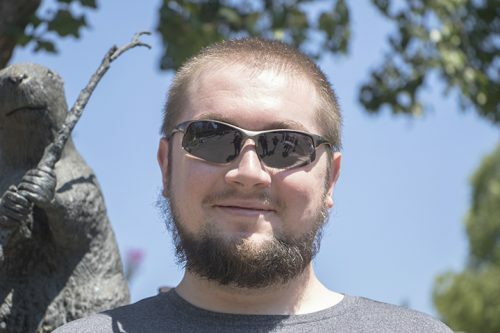 However, if that is not a sentiment that is shared by the board, I don’t want to be the only thing standing between us and perhaps the necessary training that we need,” Nicholson said. Student Senate Vice President Alejandra Hilbert suggested that maybe Senate Advisor Juan Blanco could talk to Cuesta to address Nicholson’s concerns. “I also understand where the concern comes from but I don’t know if last year you guys officially had that kind of meeting setting where you discuss and stuff like that. I feel like you stepped out of bounds in that regard,” Hilbert said. “Absolutely, and that way if we know that he is aware of our concerns, and in the event that it continues to happen we will have some sort of measure in place to address those issues as opposed to bringing them up in a meeting,” Nicholson said. “I think the main concern was that parliamentarians were whispering into the chairs’ ear, like ‘okay, you should do this, you should do that’ and that caused some stir during general assembly because the public felt that they should know what Lorenzo was whispering into the ear of the chair,” Blanco said. “The parliamentarian sits to the left of the chair and if there is a point of contention then the chair can request advice from the parliamentarian. It is up to the chair if they accept that advice,” Blanco said. During a discussion about allocating money for ASB posting boards, Nicholson moved to create an hoc committee, a committee formed for a specific task or objective, to discuss and address the designs for the posting boards in tandem with their advisor. The move was approved and the committee will consist of Senate President Valencia Scott, Hilbert, Nicholson and CAEB Vice President Mary Stedman. CAEB continues to work on their plans for Welcome Day and is open to suggestions about how to make the day during Greek Week more diverse according to Nicholson. “We need all the suggestions we can have. The more people that we ask, the more diverse the day will be and that’s our goal. So that we’re not just constantly playing the same playlist over and over again or the same games over and over again,” Nicholson said.